The holidays can be a wonderful time to enjoy visits with family, particularly with our elderly loved ones. These visits can present challenges if you are entertaining your loved ones in your home, and as a general rule, your home is not set up for someone with physical or cognitive challenges. If your loved one is wheelchair bound, you can also rent a wheelchair van, so they can go with you on outings while they visit. You can rent a metal wheelchair ramp instead of building one out of wood and then it can be temporary for their visit. If you have a loved one with cognitive challenges, they will be apt to be confused as to where they are and possibly wander, so it’s important to have safety measures in place. You might put alarms that beep on the door, so you know when someone is coming or going. If your loved one wears a Personal Emergency Response button already, have them wear it in your home and if it has a GPS capability that is even better. If they do not have one, this might be the time to introduce it. It would be important to not have the car keys in plain sight (if they have been used to driving recently) or , so that they don’t get confused and try to drive your car. It might be helpful to put a nice decorative sign on the door of the room where they will be sleeping, so they know how to find their own room and you can even do the same thing with the bathroom. Other sings to direct them can be helpful i.e Coffeemaker, towels, glasses, etc. These can be decorative and useful. If you a staging area in their bedroom or bathroom, it would be helpful to have a large space where they can put their medications out, so they see them every day, which reminds them to take them (or you may need to remind them). Someone with memory loss or confusion is going to struggle in a new environment. 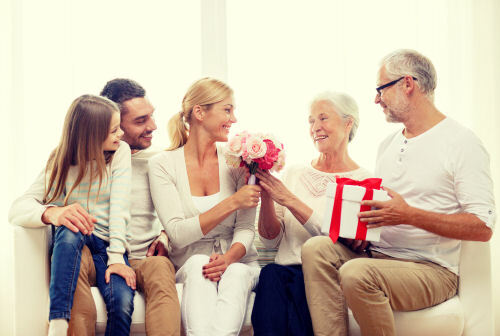 Even though the idea of visiting in your home may be very alluring to your loved one, there are going to be complications, so it’s best to be prepared.